Formerly called Cabana Beach Club. Located next to The City nightclub, Mandala Beach is situated on the powdery white sand beaches in Cancun’s Party Center. Mandala Beach has 32 beach cabanas equipped with misting machines and personal sound systems as well as sundeck, restaurant, sushi bar and multilevel swimming pool. This is your perfect set up for a Spring Break beach party! When the sun goes down the party heats up with bikini contests and pool party. The best DJs rock until early morning. Elevate Ultra Club and Sky Garden is the new Club of Dady O group. This new nightclub offers the most innovative technology, the best music and all the fun you can imagine. Elevate Ultra Club and Sky Garden combines two atmospheres in one venue. 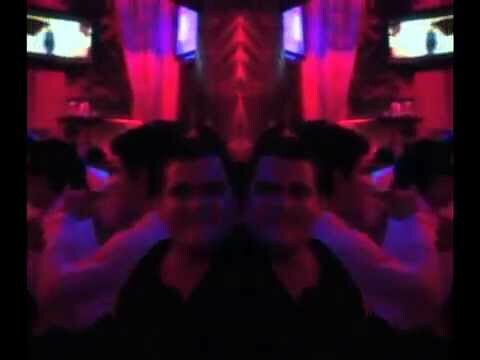 One side is pure Cancun Nightclub: atmosphere, service, quality, entertainment with your favorite drinks. The other part is a Sky Garden where you can relax and slow down for a break from the intensity of the club. Here you can still listen to the music of the in-house and guest performing DJs. Enjoy unique performances, costumes, and funny shows that will entertain you all night. Señor Frogs has a split-personality. During the day it is a fun, family-style restaurant serving burgers and other simple American food. 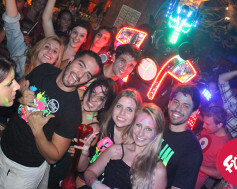 At night Señor Frogs turns into a party place with some of the most outrageous events. Feel free to dance on the stage or on the bar or you can enter exciting contests. You can even fly down a slide that ends in the Nichupte Lagoon! Entertainment includes contests, prizes, shot girls, jell-o shot girls, conga lines, DJ / MC or live bands. 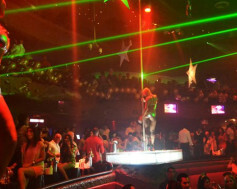 Mandala is one of Cancun’s most popular spots. This open-air club seats 800 people and has a more intimate feel. Sit outside where you can watch everything that’s happening in Cancun’s Party Center. Mandala attracts Cancun’s most beautiful people. It is adorned with chandeliers and a very Asian decor. Mandala disco boasts 5 separate VIP sections and a very classy atmosphere. The most cosmopolitan crowd goes to Mandala Disco. If you value exclusivity, you’ll love it at Mandala. If you are ready to party in style, Palazzo Nightclub is the place to be. The interior design is one of the most elaborate and upscale in all of Cancun. This is reflected in the people that go to Palazzo. The club was recently remodeled and now boasts an amazing ambiance with brand new furnishings and a spacious design, which attracts the most beautiful partiers in Cancun. The music is current and the DJ is ready to get the crowd going. Palazzo offers the true VIP experience, allowing you to party like a rock star. 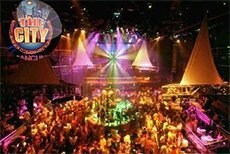 Dady O Cancun is Cancun’s nightlife at its best, featuring a contemporary fusion of music, light and dance, wrapped up in an amazing nightclub. 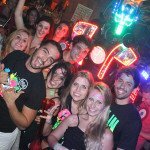 Experience a wild, non-stop party in the most popular club with the best events, such as bikini contests, awesome theme parties and much more. 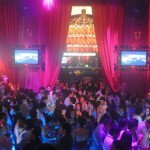 Don’t miss out on the best nightclub in Cancun! 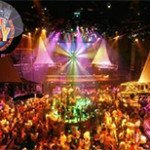 Dady O is equipped with a sophisticated sound and light system with laser shows creating a magical atmosphere for the serious partiers in Cancun. Six bars are strategically placed around the nightclub offering easier access for open bar service. 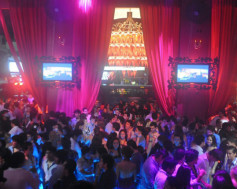 The City has established itself as the largest nightclub in Latin America. It has a capacity of up to 5,000 people served by 9 bars throughout three levels, making it what most consider a “superclub”. The City boasts a million watt sound system and 200 square meters of video screens. 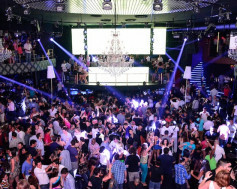 It also has a spectacular mobile stage for dancing, which goes down from the 3rd level to the center of the club. 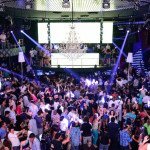 The club has one of the best laser and lighting systems in Cancun. CO2, bubble, fog, balloon and serpentine machines ensure there is always something exciting happening at The City. World-class artists such as Fergie, Ludacris, Akon, Flo Rida, American Eagle, MTV, 50 Cent, Sasha, Tiësto, Paul Van Dyk, Snoop Dogg, and Paris Hilton and many more have appeared at The City Cancun. 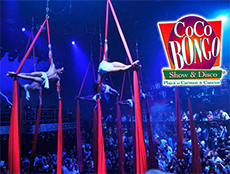 Coco Bongo is one of the hottest clubs in Cancun. It is known world-wide for it’s spectacular shows including circus acts performing on the stage, conga lines, acrobats flying across the ceiling and impersonators that make the entire club their show. Come see CocoBongo’s version of Madonna, Beyonce, Queen, Guns N Roses and much more. The music consists of hip hop, dance, pop and the greatest hits from the 70’s and 80’s. Mixing it all together are the most talented DJ’s. 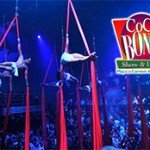 Coco Bongo has state of the art audio and video equipment, confetti explosions and balloons, not to mention foam parties!!! The action never stops during a night at Coco Bongo!